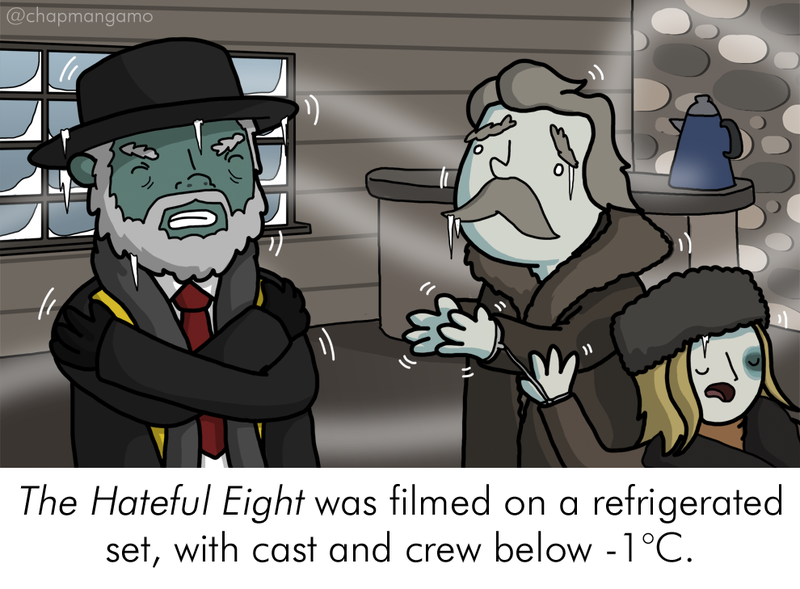 As the Oscars wind down, James Chapman reminds us that films are ridiculous behind-the-scenes with these illustrated Movie Facts. 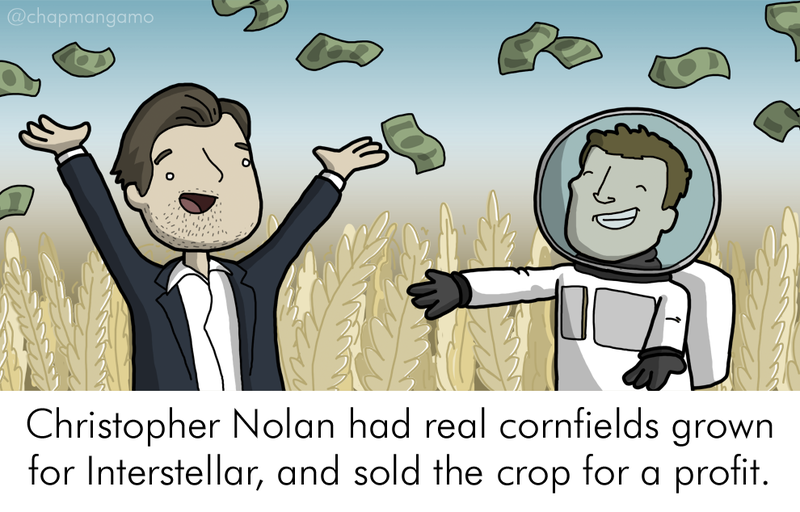 With all due respect to Leonardo DiCaprio's Best Actor win, I'm usually not the type to follow the Oscar Awards in detail. 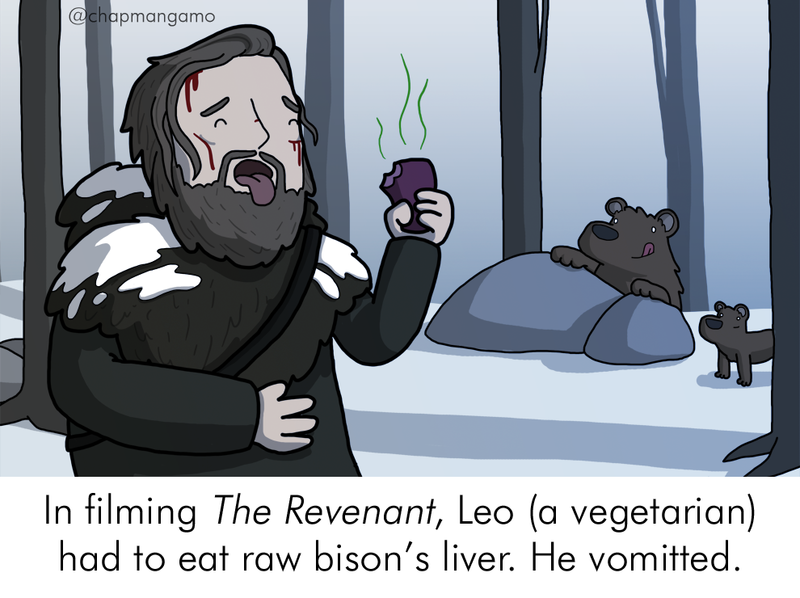 What I do love are obscure, interesting, and hilarious behind-the-scenes film facts - like how a vegetarian DiCaprio was forced to consume a raw bison liver for The Revenant. 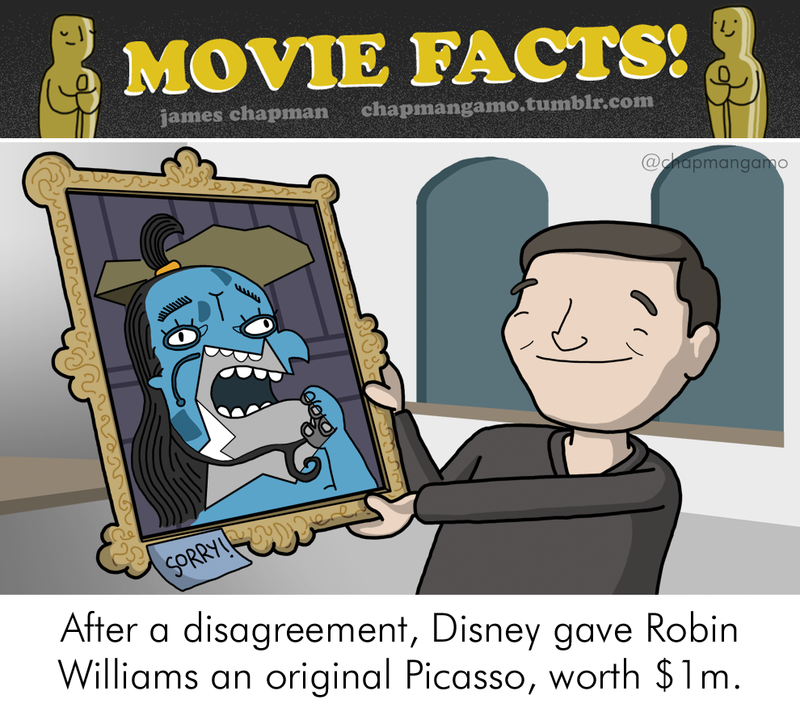 Apparently artist James Chapman agrees with me, which is why he took the time to illustrate some true Hollywood tales for our amusement. 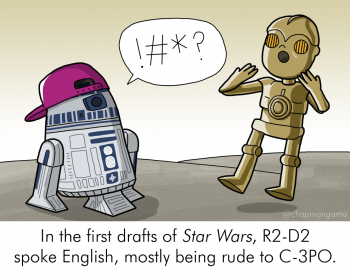 What kind of facts are we talking about here? 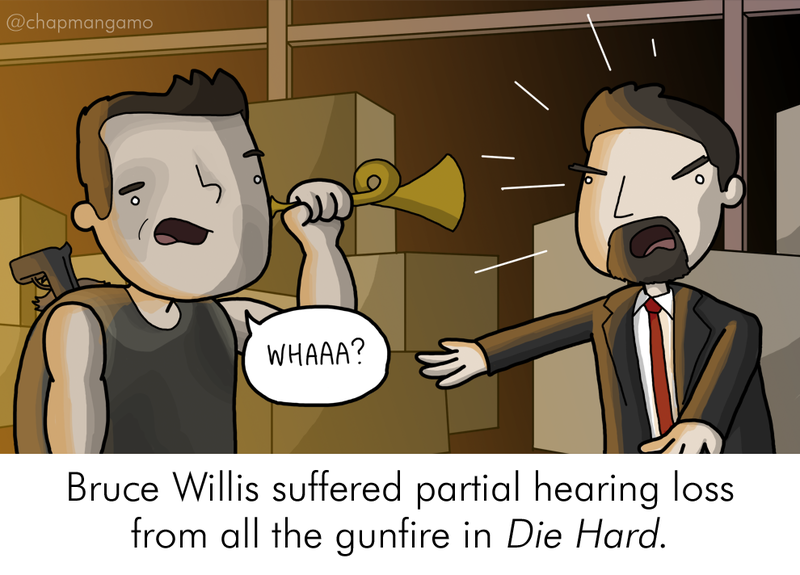 How about Bruce Willis being partially deafened by Die Hard's gunfire? 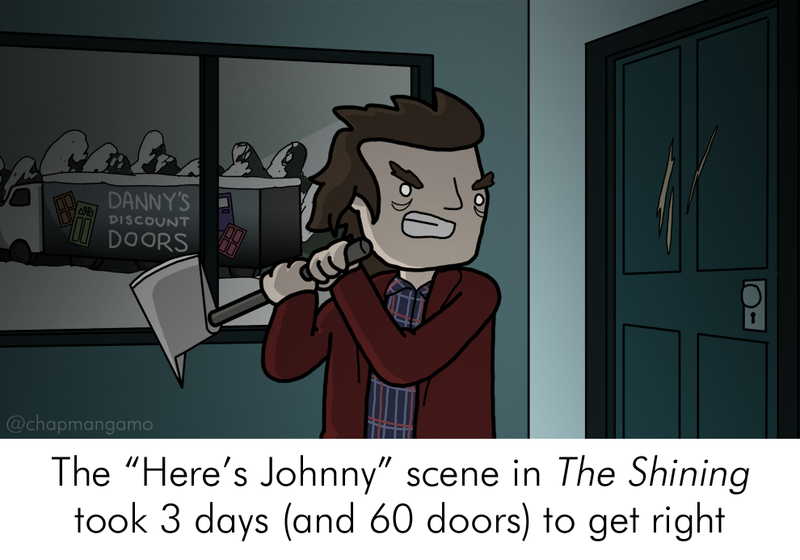 Or how The Shining's "Here's Johnny" scene went through 60 doors during filming? Or how R2-D2 could talk in the original Star Wars scripts and was far from the courteous droid we all love? 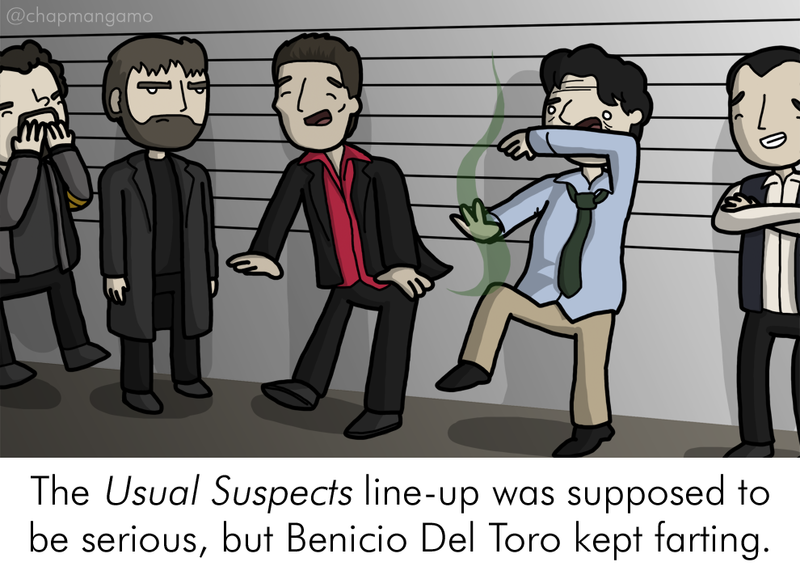 Or how the actors in that Usual Suspects line-up were distracted by Benicio Del Toro's perpetual farting? 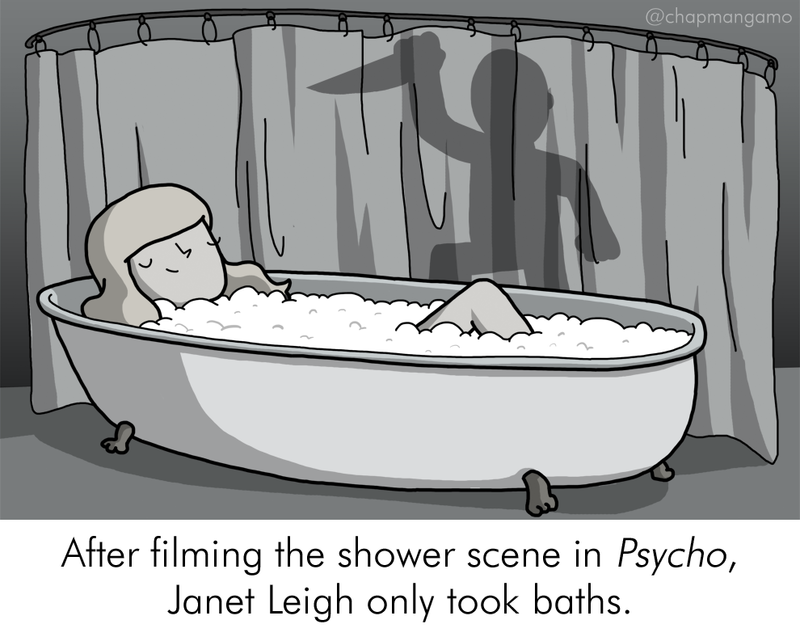 It's hard to deny Chapman's movie facts are among the most charming ways to educate yourself on Hollywood lore. 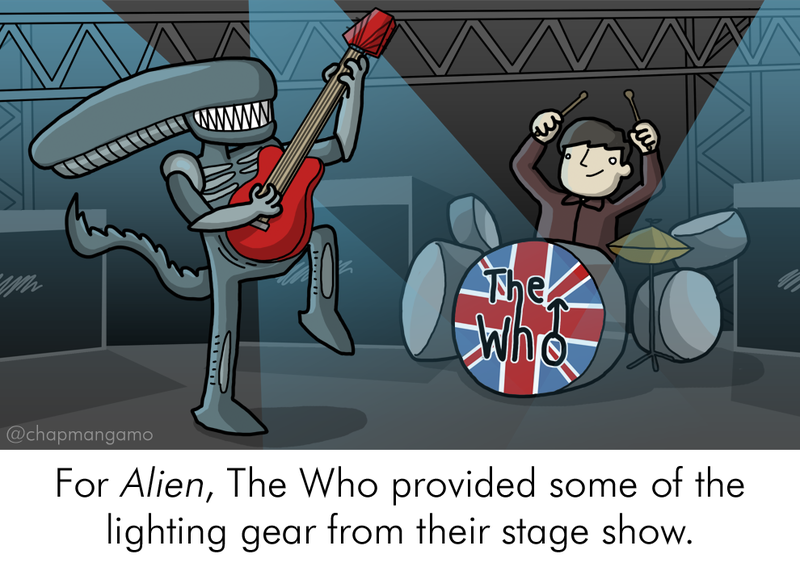 If you enjoy his work, kindly do him a solid by checking out his books and for-sale artwork.